Hampstead House, near Bury St. Edmund’s, collection of Mrs. T. G. Booth. 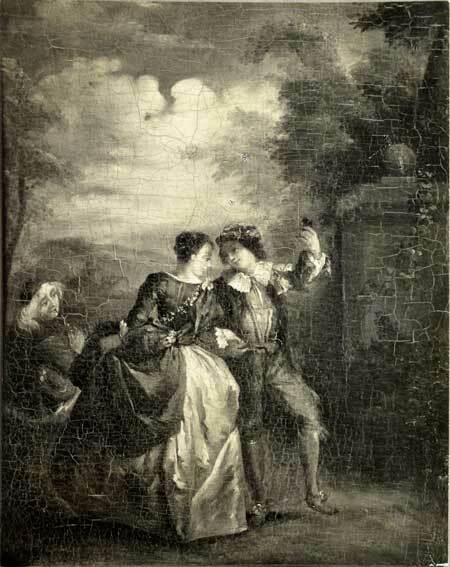 Her sale and others, London, Christie’s, June 11, 1926, lot 153: “WATTEAU. . . . FÊTES CHAMPÊTRES—a pair / On panel—11 in. by 9 in.” Bought by Barclay for 11 guineas the pair, according to annotated copies of the sale catalogue in the Watson Library, Metropolitan Museum of Art, New York, and the National Art Library, Victoria and Albert Museum, London. Ingersoll-Smouse, Pater (1928), cat 25-26, 228-29. Pater, La Danse, oil on canvas, 56.5 x 45.7 cm. 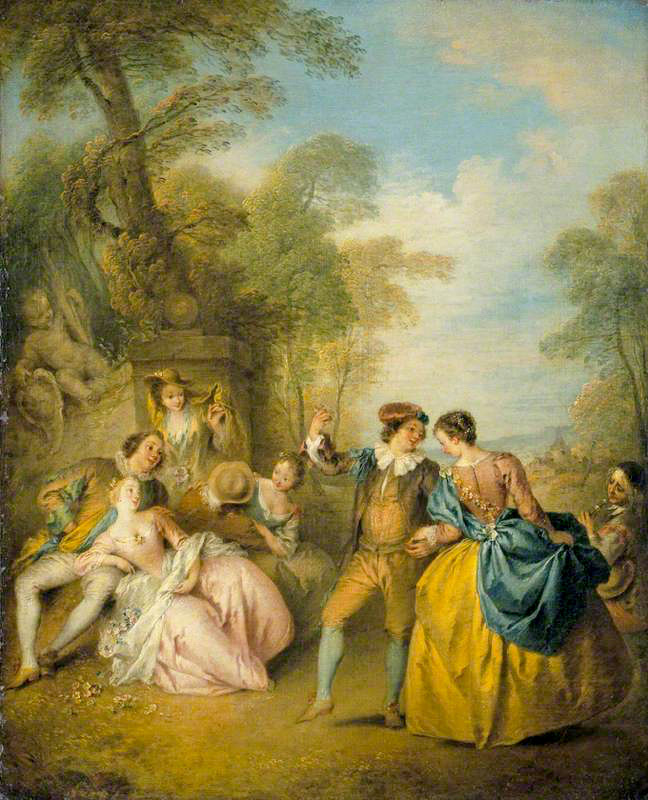 London, Wallace Collection. Although Mrs. Booth’s second painting was not illustrated in the 1926 sale catalogue, it is likely that it too was after a Pater composition, perhaps the Filloeul engraving of Le Concert amoureux, the pendant painting to La Danse and alsoin the Wallace Collection.